Timmy Gene Crow was born on November 11, 1954 in Tahlequah, Oklahoma to Thomas Jefferson Crow and Geneva Belle Bolding-Crow. 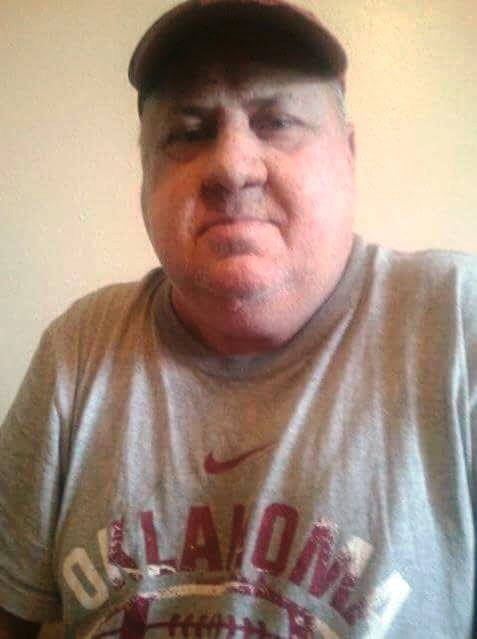 He passed from this life on January 22, 2019 in Tulsa, Oklahoma at the age of 64 years. Timmy was preceded in death by his mother and father; two sisters, Aunita Taylor and Jolene Clinton; and four brothers, Norval Wayne Crow, Thomas Jefferson Crow Jr., Jess Lee Crow, and Ricky Dale Crow. Timmy is survived by his seven children and fifteen grandchildren, Sandra Grogan and husband Rob of San Antonio, Texas and their children Taylor, Zayne, Riley and Kristen; Tamatha Adams and husband Bryan of Tahlequah, Oklahoma and her children Ammris, Ariell, Avery and Aaron; Carden Crow and wife Shronn of Tahlequah, Oklahoma; Kellen Crow of Tahlequah, Oklahoma and his children Breanna, Kellen Jr., and Tyranny; Chellsiah Clark of Muskogee, Oklahoma and her children Haiven, Haisley and Holden; Paladin Crow of Fort Gibson, Oklahoma and his son Zane; and Briannon Crow of Weatherford, Oklahoma. Timmy is also survived by his brother, Ronnie Dean Crow and wife Jess Ann of Tahlequah, Oklahoma; three sisters-in-law, Christal Crow, Donna Crow and Virginia Crow; as well as numerous nieces, nephews and cousins and countless friends. Timmy left this life peacefully and knowing he was going to a better place. Timmy was a truck driver for several years before his retirement. When he wasn’t on the road he enjoyed fishing, anything sports related, drawing and spending time with family. He was an amazing father, brother, grandpa and friend and he will be deeply missed by many. Cremation services provided by Cornerstone Funeral Home and Crematory, 1830 N York St, Muskogee, OK. Condolences may be sent to the family online at www.cornerstoneofmuskogee.com.